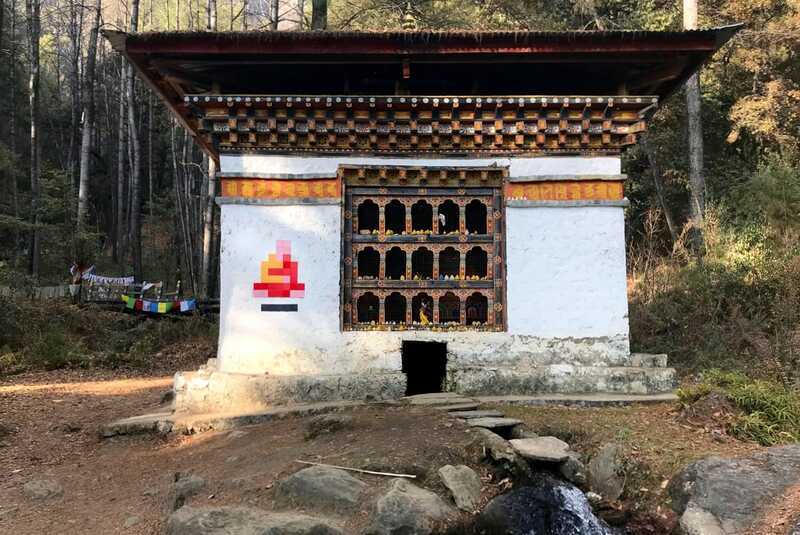 With permission from monastics, French street artist Invader recently installed eleven mosaics at various locations in Bhutan, including Buddhist temples. Invader’s mosaic depicts a Buddhist monk in Bhutan. Photos courtesy of Invader. 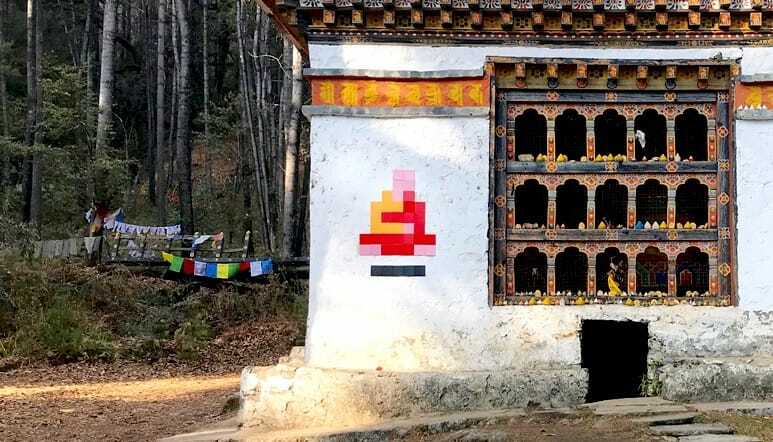 “Invader,” the French street artist who is known for his colorful mosaics modeled after the pixelated graphics of 1970s arcade games, recently installed eleven mosaic artworks in Bhutan inspired by Buddhism and Buddhist culture. 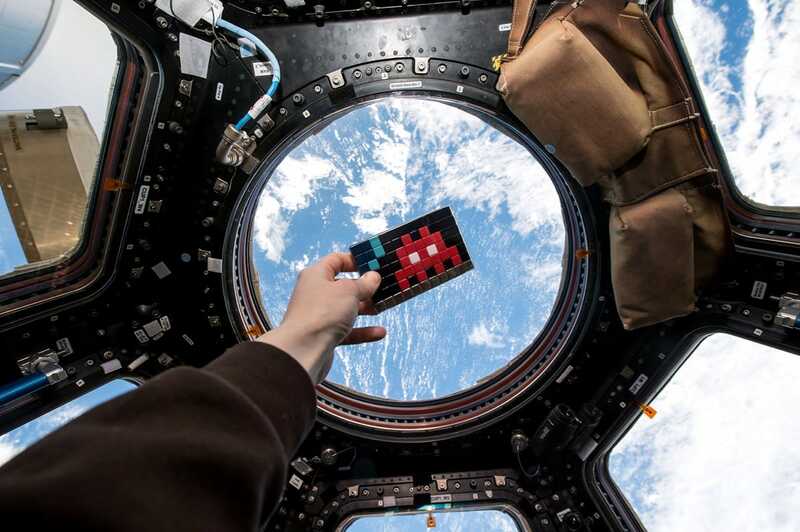 In total, Invader has placed over 3,600 art pieces on structures in seventy-six cities around the world, including one on the International Space Station. Before installing the mosaic, Invader explained his art to the monks at Cheri Goemba and asked for permission to display his piece. 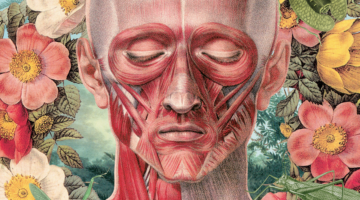 At best, he hoped to place the mosaic on the steps leading to the temple, but the monks insisted it go inside the temple, allowing him to choose between several locations. Each of the eleven mosaics Invader brought to Bhutan were designed to celebrate Bhutanese and Buddhist culture. Two were installed in religious locations with permission from monastics, and the other nine were placed in public locations, such as roadsides or storefronts. 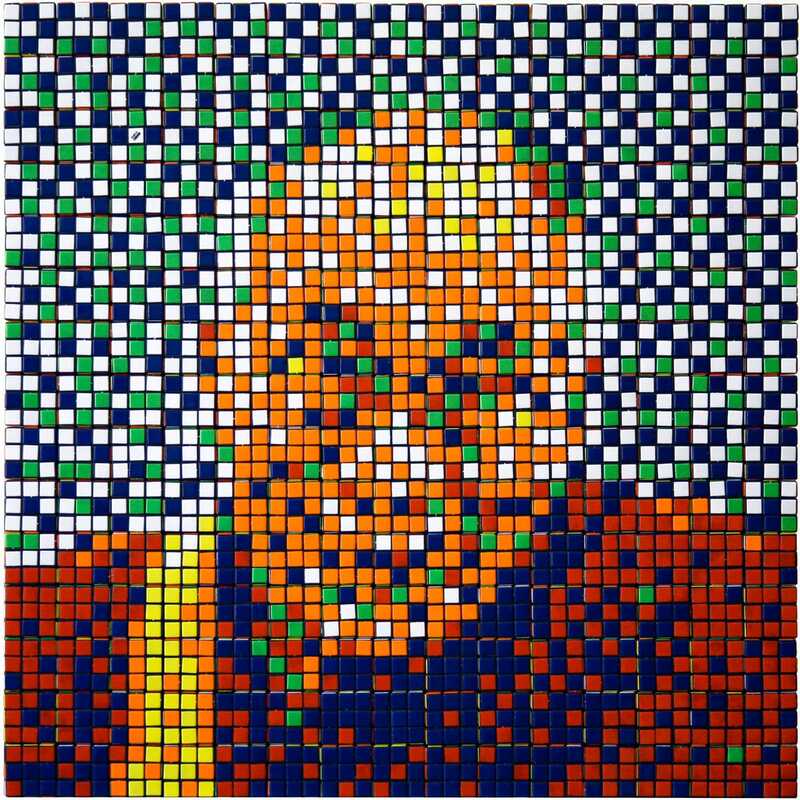 Rubik Dalai Lama, by Invader. Rubik cubes on panel, 83,5 X 83,5 X 5,5 cm, 2008. Image via Invader. 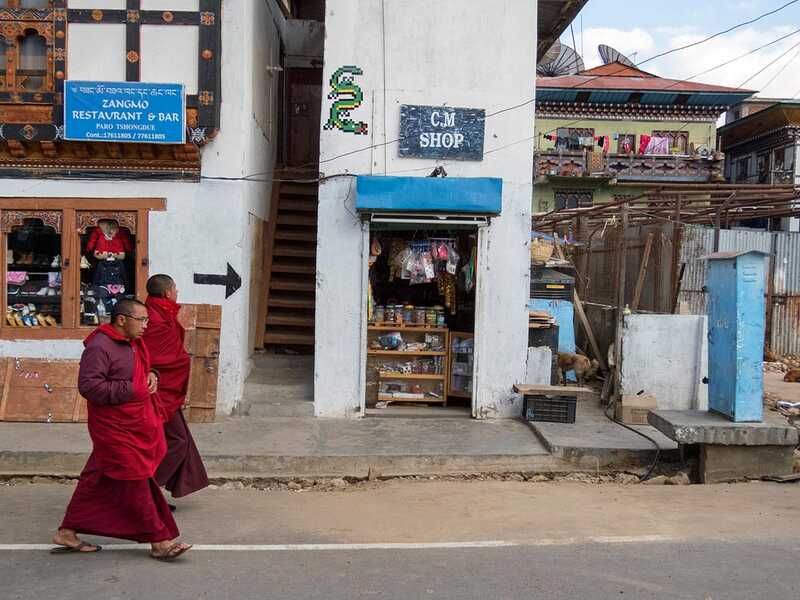 In an interview with ArtAround Arrow, Invader said the idea to travel to Bhutan was sparked by the experiences of a close friend who practices Tibetan Buddhism. “I’ve always been interested by the spiritual aspect and the philosophy of life inherent to Buddhist practice,” Invader told ArtAround. Invader’s interest in Buddhism was further heightened in 2008 after visiting Kathmandu, Nepal and meeting Tibetan refugees. He created a portrait of the Dalai Lama out of Rubik’s cubes and gave the proceeds from the prints to SolHimal, a French NGO that helps Tibetan children attend schools in Nepal. 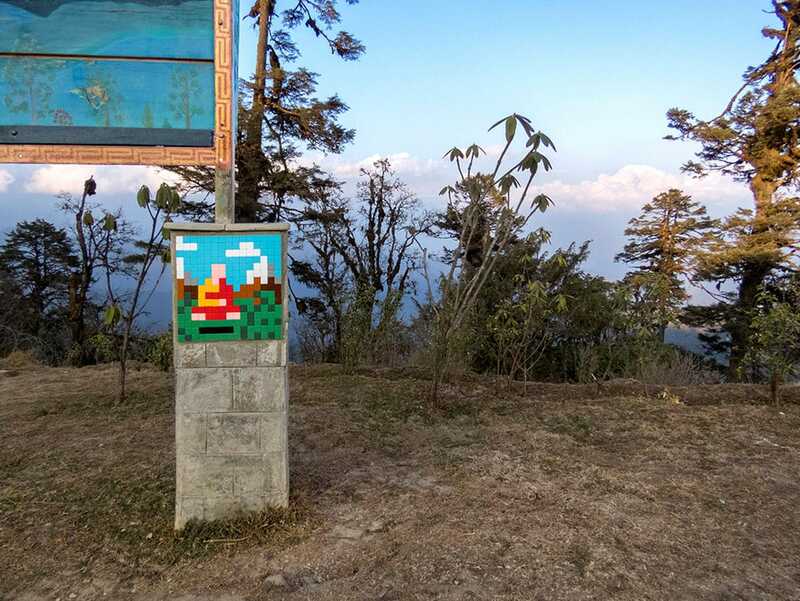 In Bhutan, Invader says he was initially happy to find that people were “extremely open-minded” and welcoming of his artwork. This marked the first time he had knowingly installed mosaics on religious structures. However, an American tourist upset with the mosaics in Bhutan sparked online controversy after anonymously contacting Artnet.com. The website later published a news story saying Invader’s fans were furious, and since then positive comments on social media have been peppered with negative reception. Invader says he did not intend to cause harm. 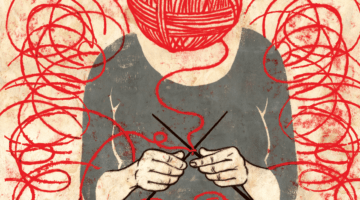 Each mosaic he creates is intended to be artistic, not disrespectful or aggressive, and he viewed his installations in Bhutan as offerings or gifts. 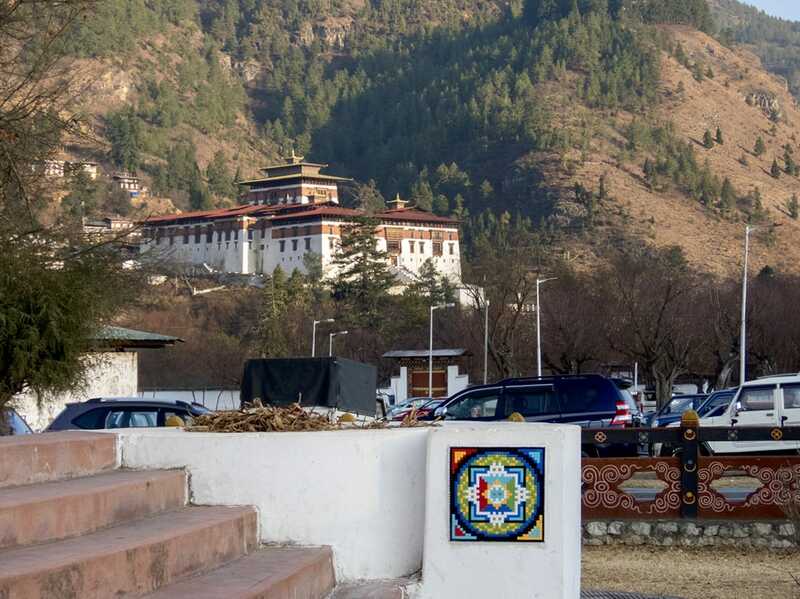 The mosaic at Cheri Goemba has since been removed by officials from Bhutan’s Division of Cultural Properties, and many of the other eleven installations have also disappeared. The newspaper also reported that Invader received criticism for his video of his mosaic inside Cheri Goemba. Some critics said the guides and tour operators should have told Invader not to place his installations on cultural heritage sites.